Traveling isn’t cheap, but there are lots of ways to make it cheaper. Thankfully, some of the best things in Scandinavia, like seeing the Northern Lights or the Midnight sun are totally free! 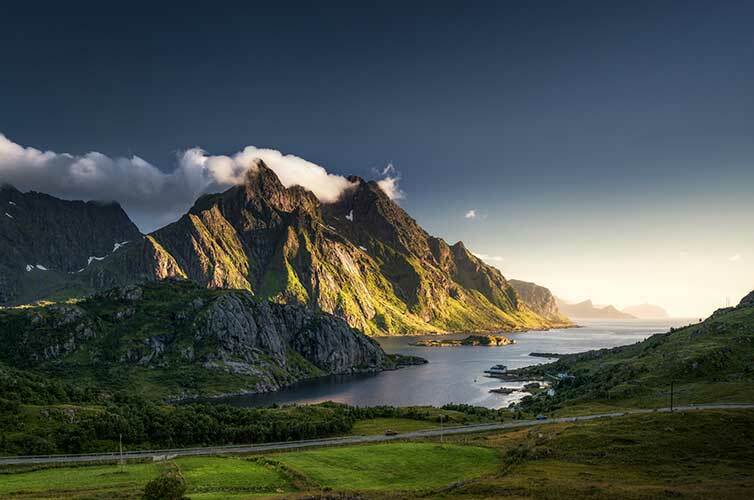 If you need some incredible views, check out our list of some of the most scenic spots in Scandinavia. Want some other free things to do that maybe don’t involve hiking up a mountain? We’ve got you covered. Admire a cathedral or castle. Denmark has plenty, and they’re usually free. Head to the beach. You may not think of Denmark as your ideal beach destination, but there are some really beautiful beaches in Denmark. Sondervig Beach, Tisvildeleje Beach and Kerteminde North Beach are three popular ones. Snap a pic with The Little Mermaid statue. This statue on a rock in Copenhagen has come to be a symbol of the city and is visited by millions of people each year. Snap a pic and then enjoy exploring the rest of the harbor. Climb to the top of the tower at Christiansborg Palace. Denmark’s parliament building has an amazing tower which is now open to the public and totally free! Climb to the top for stunning views of Copenhagen. Explore Nyhavn. You’ll recognize Nyhavn from it’s colorful houses. This port town is the perfect place to relax along the canal, enjoy some delicious food or take an evening bike ride. Picnic in the Rosenborg Castle Gardens. These gardens are the oldest park in Copenhagen and used to be the private gardens of the king. Now, however, they’re filled with walking paths, plenty of green spaces for picnicking and hundreds of flowers (especially in the spring). See the stunning National Ballet and Opera House. The best part? It’s modeled after Norweigian glaciers and visitors are free to climb onto its roof and soak in the bird’s eye views of Oslo and the nearby fjords. Visit Old Aker Church or Trinity Church. Old Aker Church is Oslo’s oldest building (built way back in the Middle Ages, around 1150!) and Trinity Church is one of the largest. Visit a free museum. Cold or rainy day? Spend the day inside at one of Oslo’s free museums—the National Gallery and the National Museum are both free and worth a visit! Admire some outdoor art. On nice days, you can visit Ekebergparken—a large park in Oslo with dozens of sculptures and stunning views of the city. Enjoy a nature walk—in the city. The Akerselva River is 8km long, running through Oslo just outside of the city center. Walk the paths along the river and enjoy waterfalls, forested areas, coffee shops and cafes and even some swimming spots! Ski or ice-skate in the winter. If you’re braving a Scandinavia winter, don’t let the cold weather keep you stuck indoors. Oslomarka has free cross-country ski trails just outside of the city. No skis? No problem. You can enjoy several ice rinks in Oslo for free throughout the winter months. 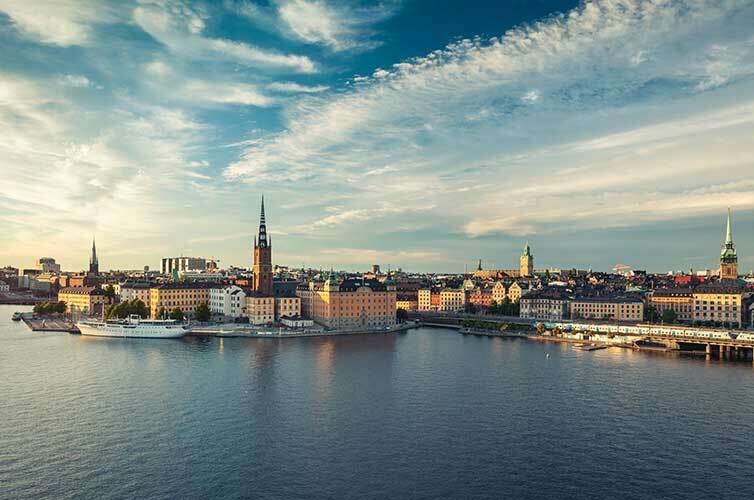 Take a free walking tour of Stockholm. There are several groups in Stockholm that offer free walking tours of the city. What better way to get to know Stockholm than with a local who can show you around? Check out Free Tour or Stockholm Free Tours for details. Explore a free museum or castle. While not all museums in Sweden are free, some are! Check out the Nationalmuseum (for art and design) or the Swedish History Museum (featuring outdoor viking games in the summer). The stunning Skokloster Castle is also free. Catch free concerts and more at Parkteatern. Parkteatern, or “Theater in the Park” hosts plays, concerts, dance performances and more in Stockholm’s parks between June and August. Entrance is always free and there’s literally hundreds of performances throughout the summer. Take a walk around Djurgården. A quiet and beautiful oasis in the middle of Stockholm, Djurgården is home to some of Stockholm’s most famous museums and attractions—but it’s also just a nice spot for a picnic and a walk. Visit Hotorgshallen. Hotorgshallen is one of the largest (and oldest!) food markets in Stockholm, where you can buy foods from all over the world. So while it’s technically free to visit and soak up the sounds and smells, you might not be able to resist buying some delicious snacks. Need some cheap flights to get you to Scandinavia for less? 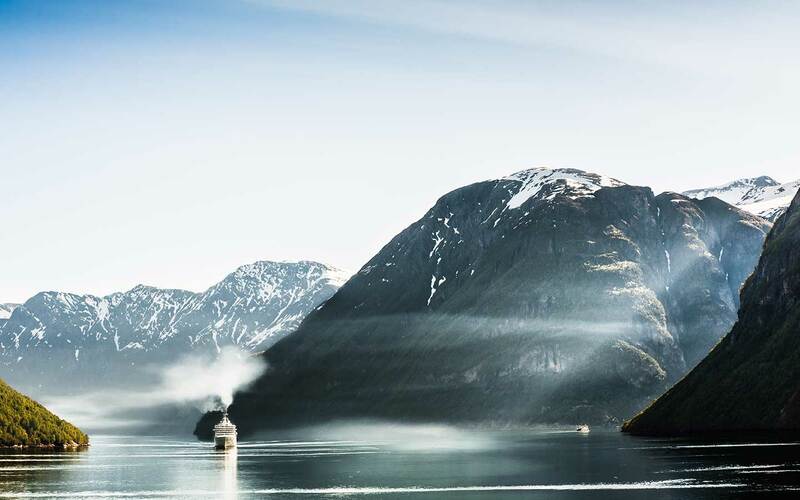 We’ve got some deals on SAS, the Scandinavian airline that’ll get you to Europe in style for less.